Filipinos are some of the friendliest people in the world. They always have a ready smile and a healthy sense of humor. 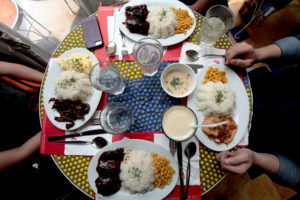 Filipinos are famed for their hospitality, and enjoy eating and drinking. Do not be surprised when they invite you to join them while they’re having a meal. Family and community are very important to the Filipino people. It is not uncommon for three generations to live in one household. They have community celebrations, called ‘fiestas,’ that reinforce communal unity and are a great excuse to eat, drink, and party. Filipino (sometimes referred to as Tagalog) is the official language of the Philippines, and there are over 120 other dialects spoken around the country. But have no fear! English is taught in all schools (it’s the nation’s second language) so you won’t have a problem communicating with the local population. The Philippines has two seasons: wet and dry. The summer months of April and May can get really hot (as high as 39 degrees Celsius) but that’s what white sand beaches are for! But seriously, wear sunblock and stay hydrated. The monsoon season is from June to November. Expect torrential downpours (the Philippines has an average of 20 typhoons a year!) That said, heavy rains can be a soothing experience, especially if you’ve never experienced anything like it. The Philippines has been called ‘the social media capital of the world.’ Filipinos spend A LOT of time on Facebook, Instagram, and Twitter – being connected to the internet is a high priority. It is easy to get a mobile phone + data plan (there are two major telco companies: Globe and Smart) that suits your needs, with coverage over most of the country. Cable, fibre, and ADSL internet can be installed in your homes and businesses. Free Wi-Fi is available in malls, coffee shops and airports, and most business establishments offer Wi-Fi to their customers. How to get around the Philippines? In the major cities, ridesharing services Uber and Grab are your best bet in getting around. Jeepneys (originally converted military jeeps from World War II) are fun, but can get quickly cramped during rush hour. Tricycles are also readily available in the suburbs and provinces. For long distance travel there are buses and trains that run between cities and towns; ferries will take you to other provinces. Flying is still the most convenient way to reach the rest of the country. There is also a burgeoning bicycle movement in Metro Manila with more and more biking lanes being added. Most expats choose to live in the city center, particularly Makati and BGC (Bonifacio Global City). There is a variety of accommodations to choose from to suit your needs, from luxury condominiums to houses in gated villages. Most landlords prefer long leases (1-2 years), although short-term contracts can sometimes be negotiated. Most places offer air-conditioning, and condo buildings typically have amenities such as a gym, swimming pool and the like. Schooling in the Philippines is conducted in English and the Filipino language and has been influenced by the educational system of the US. The academic year for public and private schools generally runs from June to March, but international schools are from September to June. Most expats in the Philippines opt to send their children to international schools, which are primarily located in Manila. Some international schools follow the curriculum of their home country (and classes are taught in that language), while others offer the International Baccalaureate. Public and private health care is available across the Philippines. Most excellent health care facilities are in major cities, especially in the Manila area. Pharmacies around the country carry most over-the-counter drugs, and local stores also sell basic supplies like paracetamol, anti-diarrhea tablets, etc. It is best to choose medical insurance with an international policy before arriving, as medical treatment can be costly without it. 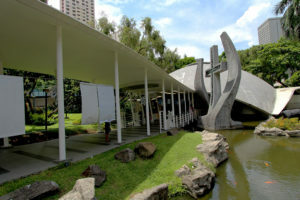 The Philippines, being a predominantly Roman Catholic country, is the largest Christian nation in Asia. There are also many Protestant churches throughout the country, as well as a Muslim minority in the southern part of the country. Filipinos are generally accepting of different religions and beliefs so if you’re a person of faith, you’ll be quite comfortable in this tolerant climate. Filipinos like to shop, and there are different kinds of places where you can get supplies. Big shopping malls with reliable brands can be found in major cities all over the country, so you can find almost anything your heart desires. There are luxury stores when you’re feeling a little indulgent. Divisoria, a market district, is the best place for wholesale and bargain shopping (make sure to haggle). Farmers markets also pop up in certain parts of the city, where you can find local, artisanal goods, and even vegan products. If you crave the flavor of home, there are also specialty stores that carry specific international products. Apart from shopping, there are plenty of things to occupy your time. There are state-of-the-art cinemas, amusement parks, and activity centers for you enjoy. 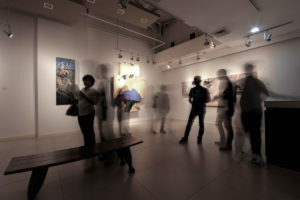 If you want a dose of art and culture there are numerous museums, galleries, theatres, and art spaces you can visit all over the country. For the active types, there are many options for you to get that adrenaline pumping. You can find the latest workout trends at fitness centers and gyms, become a member of a sports club, run on different trails, and join various sports teams. Foodies and drink connoisseurs will be happy to know that the Philippine bar and restaurant scene is booming. Hip, new establishments with interesting concepts are opening every few weeks, so your taste buds will certainly be in for a treat. The Philippines is rich in natural beauty, with powder white sand beaches and crystal clear blue waters, lush mountains and deep caves, rivers and lakes. It’s no wonder that it is one of the top tourist destinations in the world. There’s so much to see and places to go: party on the beach in Boracay, dive in Cebu and Bohol, go surfing in Baler and La Union, trek through the mountains of Benguet. The list goes on and on. But you don’t have to go far to go on vacation, as there are many out-of-town options for nature trippers in the Philippines close to Manila. Soak in the hot springs of Laguna and bask on the beaches of Zambales. You can learn about history and tour the WW2 base in Corregidor. The Tagaytay-Batangas area is a vacationer’s dream: mountains, beaches, diving, resorts, the Taal volcano (an island within a lake, in a volcano, in a lake), heritage sites, and many more attractions, all within a few hours of the Metro. It’s easy to duck out of the city for a much-needed break. There are several long weekends throughout the year (sometimes the government moves holidays near the weekend), but the major holiday stretches happen during Holy Week (late March or early April) and Christmas to New Year, so you can plan your get-aways way ahead of time. This is just a sliver of what the Philippines has to offer. Hopefully, you now have an idea of what living here will entail, and that you’re excited to make the expat transition – you and your family will definitely love it!